Influencers are nothing new. Often with millions of followers at their beck and call, successful promotion can be a matter of having the right words come from the right person. But with price tags in the thousands for just one post, many small to medium-size businesses simply cannot justify the expense with no guaranteed return. 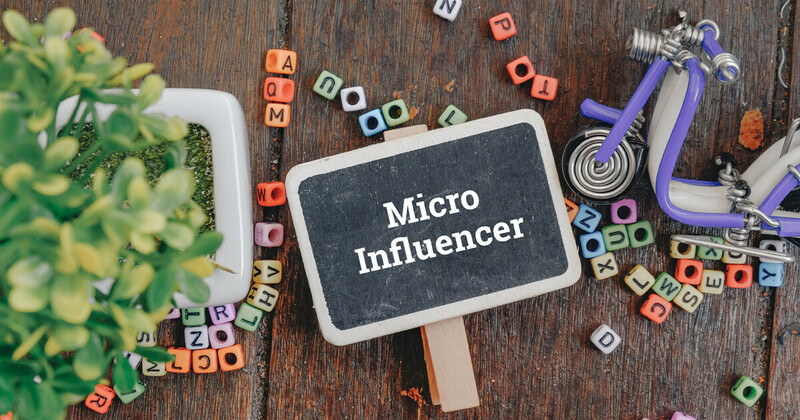 In this case, micro-influencers can be the secret ingredient in your upcoming lead generation strategies. Using similar strategies on a smaller scale, these are the social media stars that fly under the radar. Even if you find yourself asking just what is a micro-influencer, it’s likely you’ve crossed paths with one on social media. With followings anywhere between 5,000 and 25,000, they offer an entry point into the competitive world of influencer marketing. Depending on the product and influencer chosen, they can still deliver remarkable returns on investment, boosting awareness, engagement, and direct sales. Even those who follow huge celebrities are likely to take their posts with a grain of salt—we expect them to act as brand ambassadors, or advertise directly to us. A cleverly devised micro-influencer strategy need not be so obvious. At this end of the spectrum, marketers can access and engage with new audiences from as little as a couple of hundred dollars per post. However, micro-influencer strategies cannot be a one-size-fits-all approach. The secret behind effective influencer marketing is a genuine connection between the “brand” of your influencer and your product. What is a micro influencer, if not a representative of your brand? The best influencers are those who are already advocates for your product or the lifestyle associated with your brand. To find them, try these workarounds, especially if you aren’t quite ready to dive head-first into micro-influencer marketing. Start with existing clientele and provide incentives for them to act in your business interests. By starting with people familiar with you and your product, you’ll be able to discern between what is working and the less effective methods. This way, you’ll hit that genuine nail on the head. As an added bonus, you’ll be setting aside a much lower budget to get started—perhaps even as small as a discount or free product. You might also decide to run a competition or giveaway to encourage people to send in user-generated content. This can be handy for a content-repurposing strategy, but it’s also an opportunity to investigate a new micro-influencer strategy. When you hand over the contest prize, raise the prospect of a short-term partnership for micro-influencing. If the return on investment is sufficient, scale this into a longer-term strategy. As noted, the best influencers are those who were already advocates for your product when you found them. It’s important that they retain their authenticity. Perhaps you want to showcase a product update or a new line, or you want a micro-influencer to share her favorite part of your ethos. Influencer marketing can quickly go downhill when perceptions of authenticity evaporate. Demanding preapproved copy to be used within a sponsored post is the easiest way to inhibit a sense of genuine connection with a new audience. In these circumstances, it’s best to allow micro-influencers to remain true to their own online identity and have the freedom to breathe with your brand and products. Staying on message is perfectly fine, but let your ambassadors say it in their own words. Unfortunately, a casual mention of your brand name or a hint of your product in the back of an image isn’t going to be enough. On digital platforms, narrative drives engagement. Currently, stories are the major focus of lead generation using micro-influencers. Some popular methods are those suggesting the micro-influencer heard of the product through a friend, or was skeptical of it before he tried it. These narratives may be simple, but they are highly effective if told from an influential and engaging viewpoint. They help to humanize the customer journey when purchasing, as they replicate real tension or dilemmas common throughout the process. A single genuine post can be effective. But if you really want to make waves, you might want to consider upping the ante with your micro-influencer strategy. Starting softly, introduce your product and gently nurture your new audience to its value. By consistently highlighting the product, over time the authenticity this lends to the product’s value rises. As you become more familiar with your micro-influencers and their personal audiences, you can begin to tailor your advertisements to those specific markets for even higher engagement and conversion. People buy from people, and by gently nudging new prospects towards your product in a familiar environment, micro-influencers can form trust more easily and reliably. Do this right and you can set yourself up for a long-term, mutually beneficial partnership. With such a new perspective on your lead generation strategies, you could find your advertising efforts reflect a new level of success. Michael Bird is a cofounder of digital marketing agency Social Garden. Social Garden specializes in data-driven lead generation and marketing automation to grow companies’ revenue in different verticals in Australia.